The 2017 Land Rover Range Rover Sport combines the impeccable taste of British luxury with the nearly unstoppable brute force of one of the most capable off-road platforms. A new infotainment system and HSE Dynamic model, along with an available 3rd-row seat and turbodiesel V6, make the Range Rover Sport a serious competitor to the Audi Q7 and Mercedes-Benz GLS. The 2017 Range Rover sport is a luxurious and comfortable SUV that suffers from integrated technology issues. The RRS feels very luxurious inside. The seats are comfortable and interior presents as high quality and spacious. The horsepower is good even though my car is non-turbo charged. One issue with the vehicle is the navigation display. It is difficult to use and not exactly user friendly. Also, I have at least several times were the car will be stopped in traffic and turns off completely. This has required me to restart the car. It's fast and everyone looks at it. It's a fun car. I like my car a lot. I like the way it looks, I like the drive. It's not a quite Drive but it's fun. The one thing I don't like is the Wi-Fi has never worked and it is frustrating. 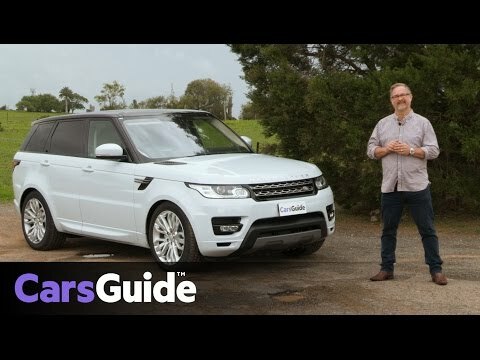 The 2017 Range Rover sport review. is this the pinacle of what an SUV should be?